Founding Franklin | What Does Religious Freedom Mean To You? This summer, I visited the National Museum of American Jewish History in Philadelphia. Their “It’s Your Story” booth is a place to record personal and family stories as well as reflect on the major themes presented in the Museum. 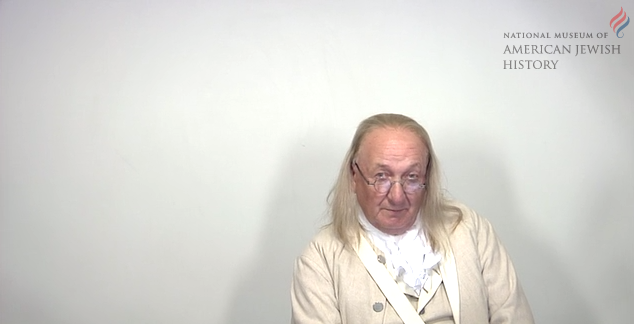 I took a moment and recorded some thoughts that would have resonated with Benjamin Franklin. I would love it if you took a moment to watch the video and reflect on its meaning. Perhaps it will inspire you to visit the museum yourself and record your own video.